We have been a family owned eyecare practice in Plymouth since 1963 and have made a commitment to serve the community for many years to come. Your family can count on us for the highest quality personalized eyecare. Call our office to schedule an appointment - or stop by to get acquainted. 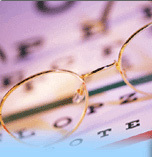 We look forward to meeting your eyecare needs.